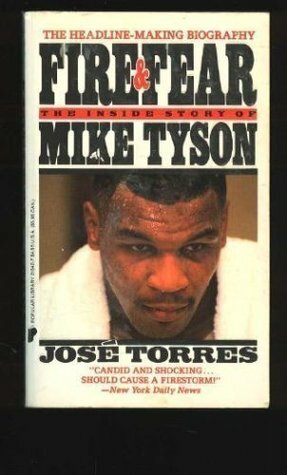 Summary- The book is about the one and only mike Tyson you may know him from being one of the best heavy weight boxers in history winning the heavyweight championship as the youngest man ever. This book goes though is whole life explaining and visualizing his ups and downs. Mike Tyson wasn't always as good as you think he was, as a young boy he was in all kinds of trouble and also went to jail about 12 times but the book tells you how he overrode that and became what he is now, and tells the reader no matter how hard life is you haft to keep moving. Cons- There wasn't many things i didn't like about the book, one of them was i didn't get why the book went though literally everything he did it got really boring at times. Another thing was all the cussing i mean cussing is fine with me but he used cuss words a lot and it got annoying real fast. The last thing i didn't like the ending it left me wondering whats going to happen next but i guess ill never know.Pros- I liked the majority of the book altogether,I liked how the story went though his rough times as a child and took us step by step until he was a heavyweight championship. The best parts of the book to me was while he was actually in the ring boxing it gave me a good visual how it really is in the ring. Another thing that caught my mind was he was the youngest boxer ever to win the worlds heavyweight championship also along with the richest, if you think about where he started and then what he accomplished its very inspiring and i see this book helping a lot of people with the same background as Mike Tyson, not becoming a professional boxer but becoming anything you want to be.